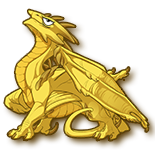 [quote name="BraveEguana" date="2018-12-05 07:50:10" ] [center][img]http://flightrising.com/dropbox/weary-wee-baby-jake.png[/img][/center] [/quote] Tiny ridgeback is judging you. Tiny ridgeback is judging you. He is Jake, but baby Jake!